A surprise gift from Cube Chain! 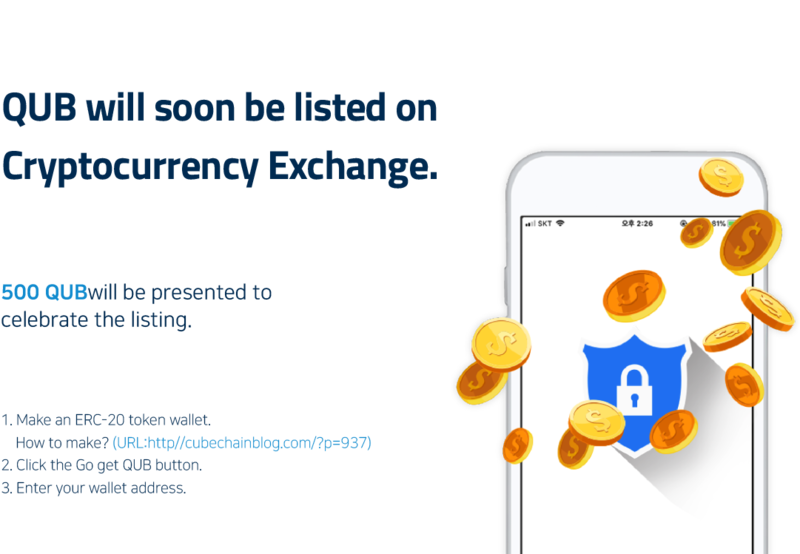 Cube Chain’s QUB is soon expected to be listed in cryptocurrency exchange. We will send you 500QUB to celebrate the listing of QUB to those who support us! The gift for the total of 150,000 people! Join the event with a message to cheer up the listing! Participation period: From December 12, 2018 until the quantity is exhausted. 1. Access to the event participation page on the website. 2. Enter your e-mail address and the correct Ethereum address to receive the QUB. 3. Please leave a message to cheer up the listing. If you do not enter the correct Ethereum Wallet address, there may be disadvantages in participating in the event. Duplicate event participation will disqualify you from the event. QUB deployments will be distributed sequentially after January 20, 2019. The event ends when the event attendees are filled. If you have any question, please contact us via email :  help@cubechain.io.